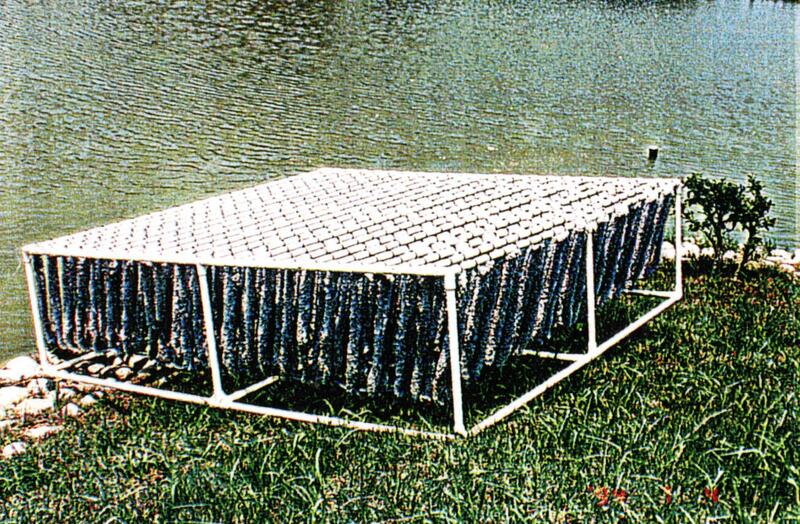 Bio-Cord is a man-made bio-reactor, developed and manufactured in Japan for drain off management using microbe activity to prevent water pollution in oceans, rivers, lakes, and marshes. In appearance, Bio-Cord is a simple cord covered with countless rings of thread, made of polymers such as polypropylene, vinylon, polyvinylidene-chloride, binylon or nylon-polyester . Its unique properties thus provide a symbiotic culture bed for a wide spectrum of microbes. 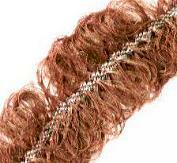 When Bio-Cord is manufactured, it leaves the factory with a slightly positive charge. Placed in water, it attracts microbes, which by nature have a slightly negative charge. 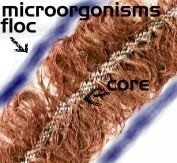 The structure of the Bio-Cord also attracts the microbes. Because of this, Bio-Cord is the choice media for microorganisms to live and grow on. The microbes adhere to the threads and perform biodegradation. This is done in a three-step process including an anaerobic step for optimum solids removal (instantaneous breakdown). Beneficial bacteria (non-pathogenic type-1) are added to kick start the system and enable it to initiate activity right away therefore the acclimation period is reduced. The addition of bacteria also assists in high sludge applications. The biodegradation process requires a synergistic balance. The Bio-Cord system allows us to target in on all types of contaminants (remove and replace with O2) and continuously maintains this synergism allowing for maximum water recycling. The water flow for the system is dependent on the nutrient addition or removal.